Previously homeschooled Camie Ramsey is being shoved into the shark-infested waters of public high school, where even helium filled, penguin bespeckled arm floaties likely won’t help keep her inexperienced, fifteen-year old head above water in that rip current of hormones and emotions. Camie’s worldly wisdom might be severely lacking (i.e., the closest she’s come to being kissed was sitting too close to the TV whilst Jake Ryan leaned in to give Samantha that fateful 16th birthday kiss), but she does understand her only hope for survival is if she’s thrown some kind of "social" life preserver before she sinks like a freaking rock. However, what will her fate be when she endeavors to flag down the only lifeguard on duty, the enormously popular and ridiculously beautiful Tristan Daniels? The most sought after and virtually most unattainable guy in school who not only makes Camie’s heart flatline on a recurring basis, he’s also the one guy who seemingly doesn’t know she exists. 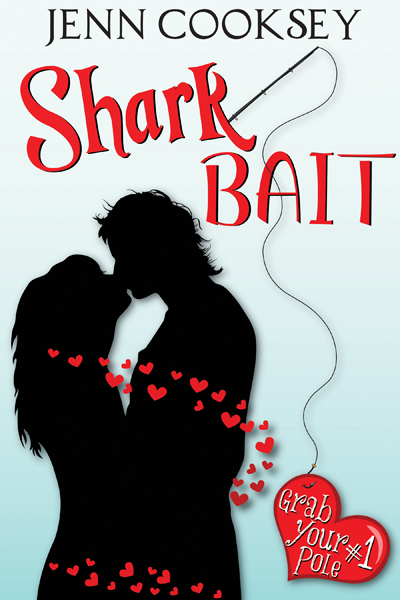 Feeling like an inept piece of chum that could ultimately be swallowed by Jaws, can Camie get Tristan to rescue her from floundering in the treacherous deep, or is she destined to be Shark Bait? Author’s Note: While the tales themselves are fictional, some of the events and characters are very loosely based in reality and on my experiencesâ€"but don’t worry, the names of the characters, most of their unfortunate fashion sense and/or questionable taste in music has been changed to protect the not-so innocent. Due to language and some adult content, this book may not be suitable for readers under the age of 16. Camie and Tristan are back and so are their friends! 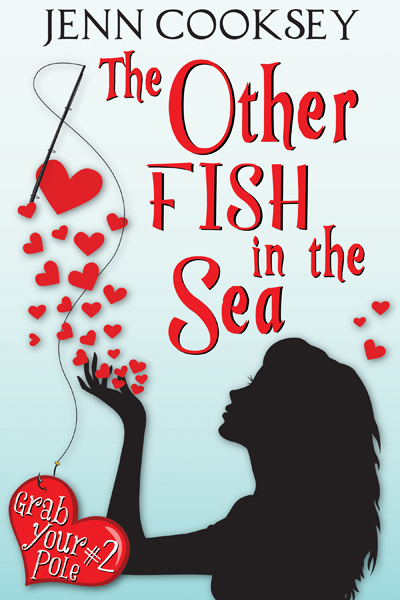 Dive deeper into the lives of the GYP gang with The Other Fish in the Sea, the second installment in the Grab Your Pole Series by Jenn Cooksey. Jenn Cooksey is a Southern California girl born and bred, and proudly boasts being a member of Grossmont High School's alumni. She currently resides in the 7th Ring of Hell (aka; Arizona) with her husband (whom she married on a dare while in Las Vegas), their three daughters, and more pets than she has the patience to count. Aside from her husband and one cat, everyone living under the Cooksey's roof is female. She's sure her husband will be not only be awarded sainthood when he kicks the bucket, but that Jesus will welcome him into heaven with a beer and a congratulatory high-five. She also believes that Bacon should be capitalized. Always.